When shopping around for the best deals, price matching is your best bet. This will absolutely help you when finding deals and turn you into a savvy shopper. The bonus? It could save you some serious time. 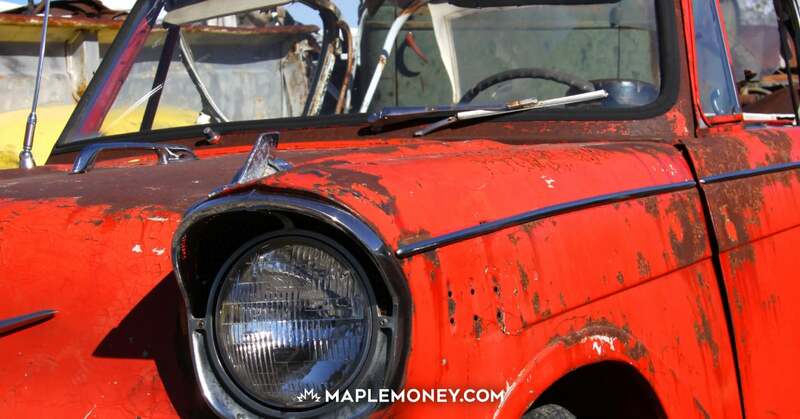 Read on to find out what is a price match and how to get started. Essentially, price matching is where a store agrees to match a lower advertised price from a competing store. As in, that store will let you buy the same product for the lower price. The idea is that these stores are really keen on making sure they’re offering the best deals (duh, they want to profit!). To stay ahead of the pack, large stores will offer to price match so that they’ll keep business. Furthermore, it’s hard for them to know whenever a competitor changes their price, so they offer you the opportunity to do so. It’s pretty awesome if you think about it – you get a lower priced product without needing to go to another store, and the store gets your business. Keep in mind that not every store does this and even if they do, their policies may differ. For example, some stores will refund the difference from an advertised rate, whereas others will only honour it if you show them the lower price right when you make a purchase. 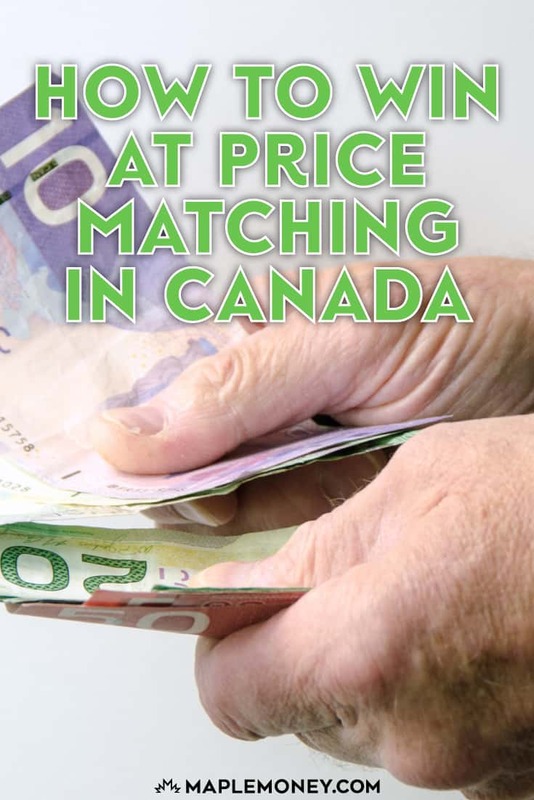 Why yes, there are different types of price matching in Canada! Rewards – Some stores will offer rewards in addition just giving the lower price. By percentage – the store will beat another’s store price by matching it, then lowering it with a certain percentage. Can You Really Save Money This Way? In a nutshell, yes. First off, you’re saving time, especially if the store with the lower price is pretty far away. Secondly, if you can find a place where they price match and offer additional discounts or rewards, you’re saving even more money. However, it may not always be worth your time unless you’re going to be saving significant amounts of money. As well, you’ll want to know what each stores’ rules are before going off and trying. Granted, each store has different requirements, so you’ll want to look it up before you go. For example, many brick and mortar stores won’t honour prices found online. Price matching seems pretty easy, but it may not be as smooth of a process. To increase your chances of success, you’ll want to make sure you’re well prepared, be confident and do your research before heading to the store. First, read store flyers as soon as you can when you know the item you want to purchase. There are many websites you can check out or even check your mailbox if you get some mailed to you. You want to do this as quickly as you can because if the advertised deal is really good, the store in question may not have in stock soon. Yes, you’ll need to make sure the item is in stock at both stores – at the one you want to buy at and the competitor store. Next, you’ll want to see if the model number (it’s not enough to just get the product description) matches. You may need to do some digging online to see if this is the case, or else it’s usually in small print in the physical flyer. Then you’ll want to look at the price matching policy at the store in question. First, do they even have a price matching policy? What do you need to get the actual price match? For example, some stores will need a physical flyer while others are OK with the original source from your smartphone. This is also a good time to check other stores, especially if there are multiple stores with the same item. That’s because you may be able to save more such as if a store price matches and gives an additional discount. Once you have all you need, gather it all together before heading to the store. As in, bring the entire stack of flyers or have on hand the website on your smartphone. You could even print out the price matching policy for the store you’re going to. Seriously, you can never have too much! As they say, it’s better to be over prepared. Once you’re ready to head to the store, you’ll want to be confident and calm. If you’re confident, you’ll be more likely to stand your ground, even if you get a no. If you’re calm, you’ll be less likely to act like a jerk, losing your chances of getting those savings. All you need to do at this point is get the item you want, had to the cashier and provide all proof of the price match. If the cashier denies you, feel free to head to another one. Don’t be afraid to speak to a manager if you need you. If you’ve really done your homework, you could be more knowledgeable than the cashier. Again, be calm, state your intention and back up your claims with proof. Unfortunately, not all managers are nice either, so you may need to call the head office to speak to someone there. It may not always happen, but it never hurts to have the number of the store’s head office with you just in case. Luckily, in most cases it could just be a miscommunication. Try to match multiple items at a time. If you’re doing so at a supermarket, try to divide the items into two piles: ones at regular price and ones with price matching. That way, you’re organized and save you time. You won’t make anyone annoyed, such as the people in line and the cashier. Shop early in the morning to avoid crowds and ensure the manager or cashier is in a better mood. However, busy times may be a good idea too as the store may be overwhelmed and will give the price match much faster to keep up with the lines. Try different types of stores. For example, if you’re looking to price match for a tool, try places like gardening stores instead of just places like Canadian Tire or Home Depot. Should you give Price Matching a Try? Price matching is great as it can save you some serious cash. Sure, it may be just few dollars here and there, but that can add up. Also, if you’re thinking of purchasing a large ticket item, you could be looking at hundreds of dollars saved. The idea is to get into the practice of price matching. It may seem overwhelming at first, but it’ll be worth it. Just do your research, be prepared with the store policies and keep pressing for your savings. 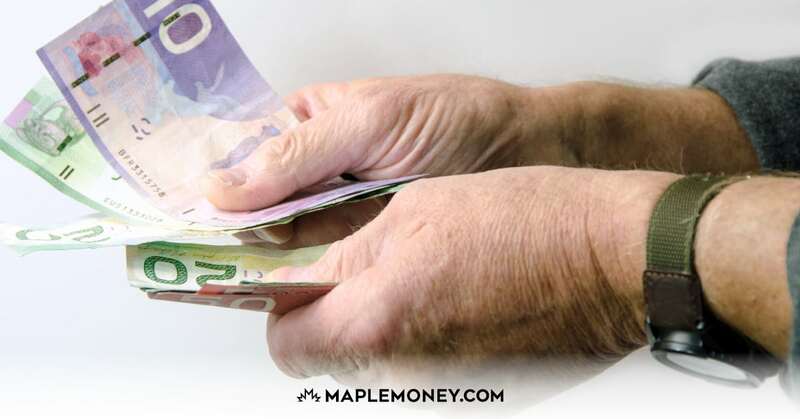 My husband, who has been price matching here in Ontario for the past 3 or 4 years wishes they had price matching years ago when our children were young. On average, he saves anywhere from $30 to $70 a week on groceries and swears he’ll NEVER PAY FULL PRICE on anything ever again! Price matching has got to be one of the best money saving ideas that’s come about (in our collective opinion) in recent years. Of course, people standing at the checkout behind my husband are usually a tad bit irritated by the time it takes to price match but at least my husband is considerate enough to let them know he intends to price match beforehand. That way they can choose to move to another checkout if they like. An excellent way to save money, not just on groceries, but on everything else too. Do your homework and you’re guaranteed to save big! Useful topic! We all like to know we’re getting the best price available. Do you have any suggestions on mobile apps to use to price match at grocery stores?